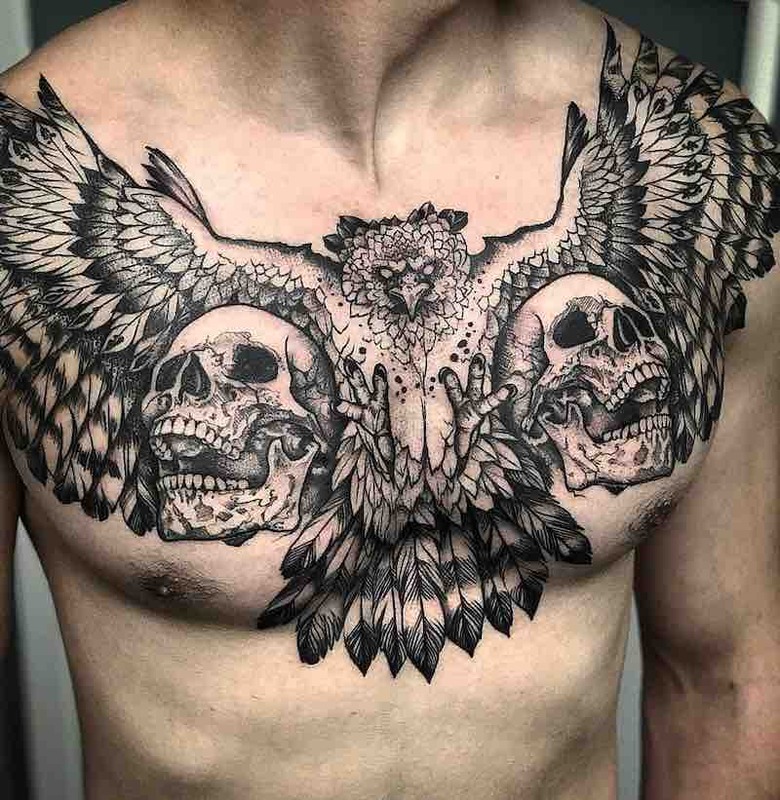 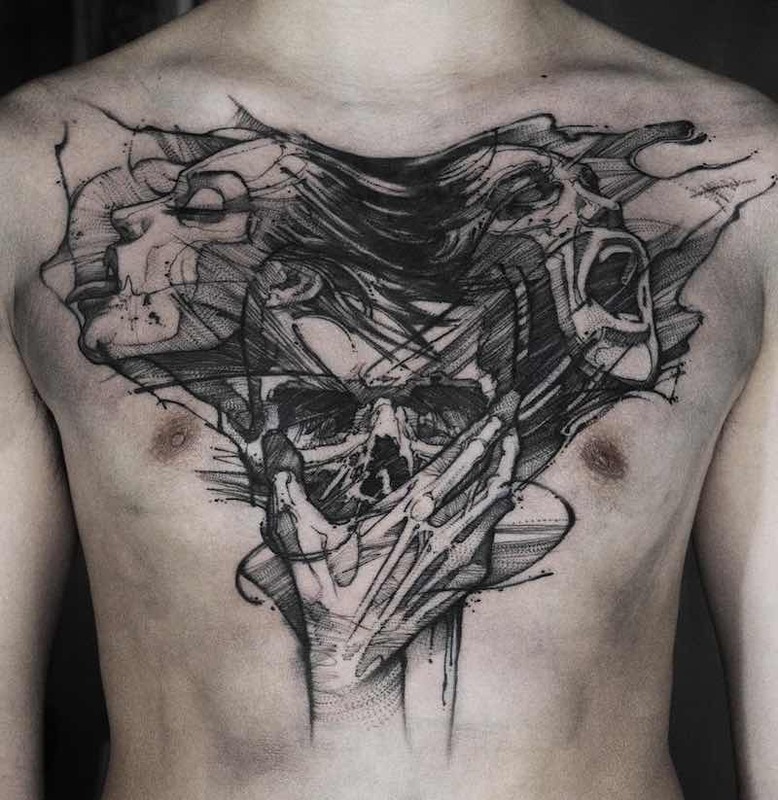 A chest piece tattoo can be perfect for an idea of a design you want big, bold and out in the open. 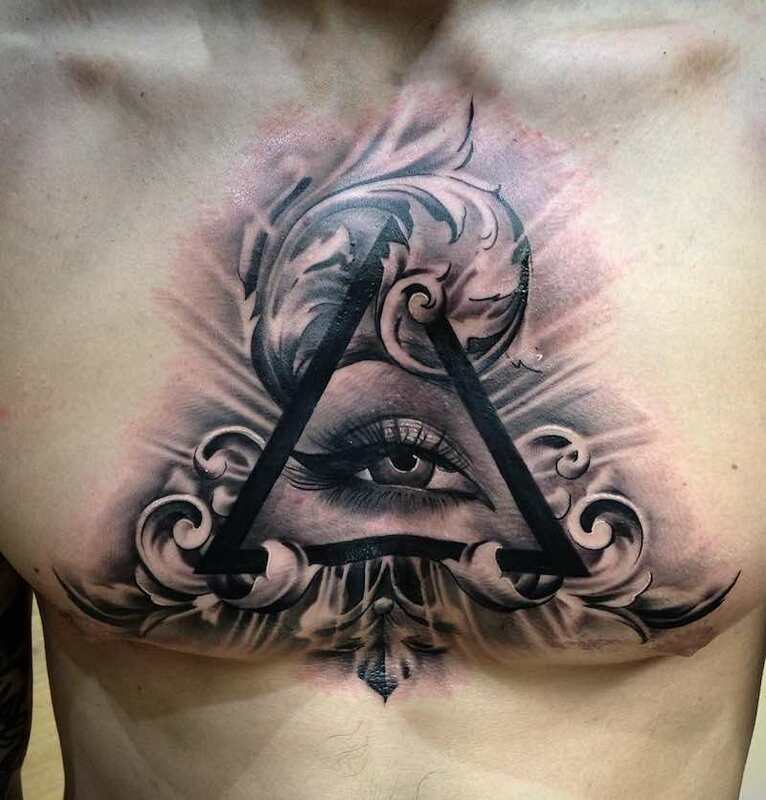 For those who may want to keep their work private then just by wearing a t-shirt could cover up the chest piece tattoo. 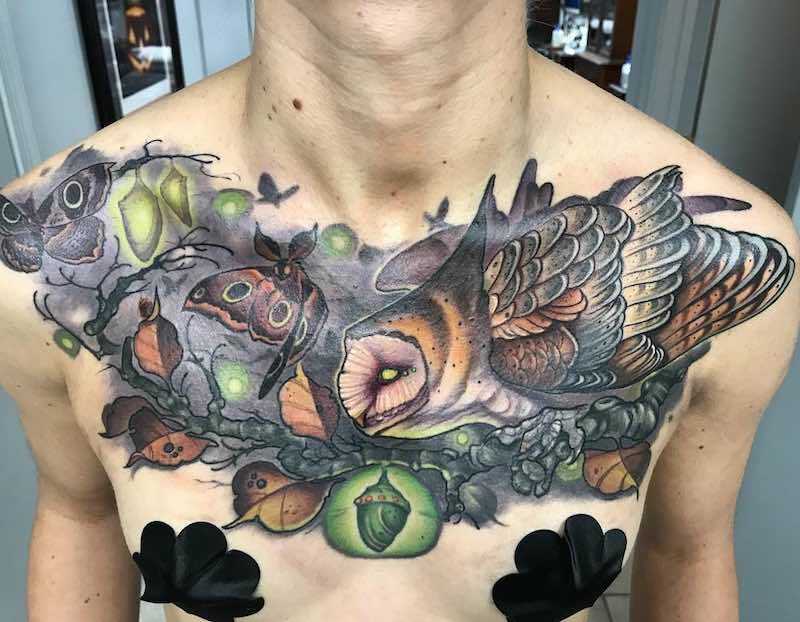 With chest tattoos being so close to the heart its easy to see why the tattoo can hold so much meaning for some, this is also the reason many people can take a long time to think of the perfect design that is best for them. 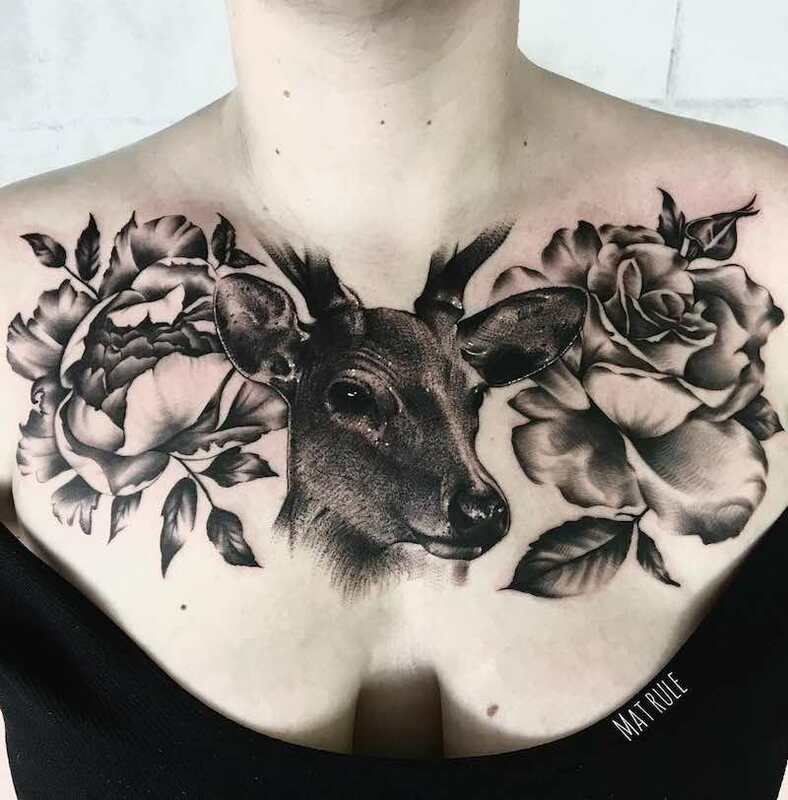 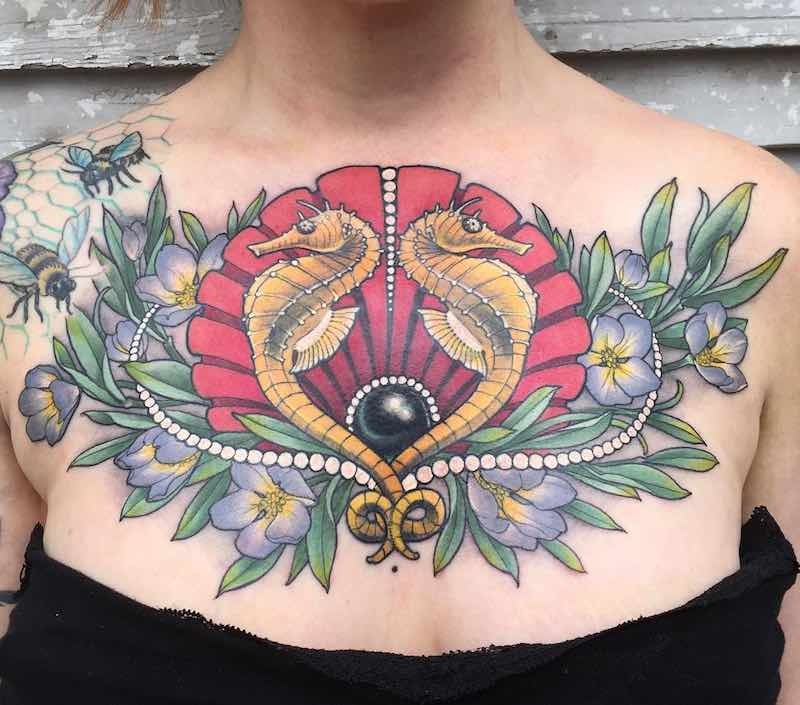 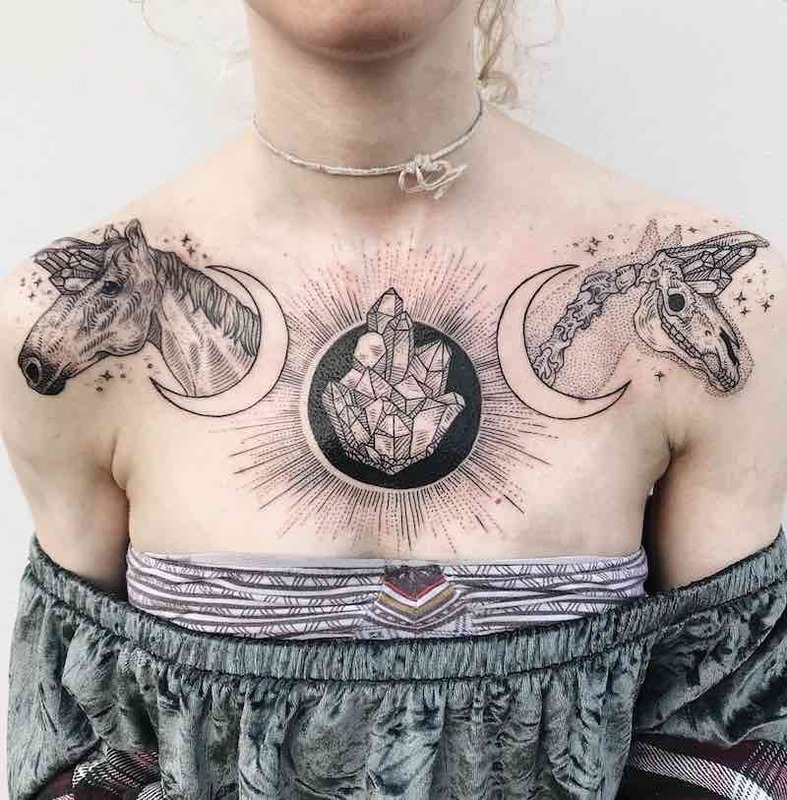 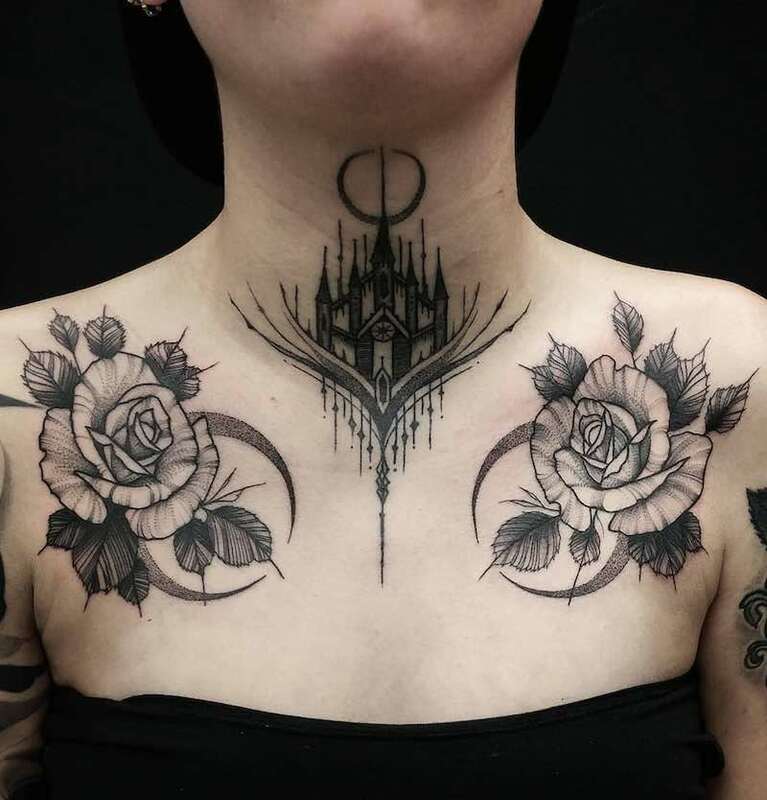 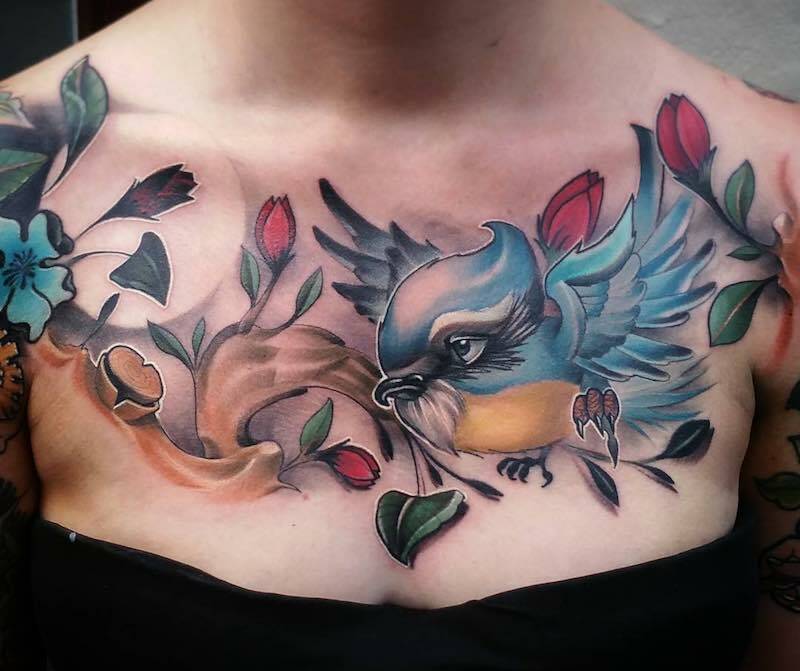 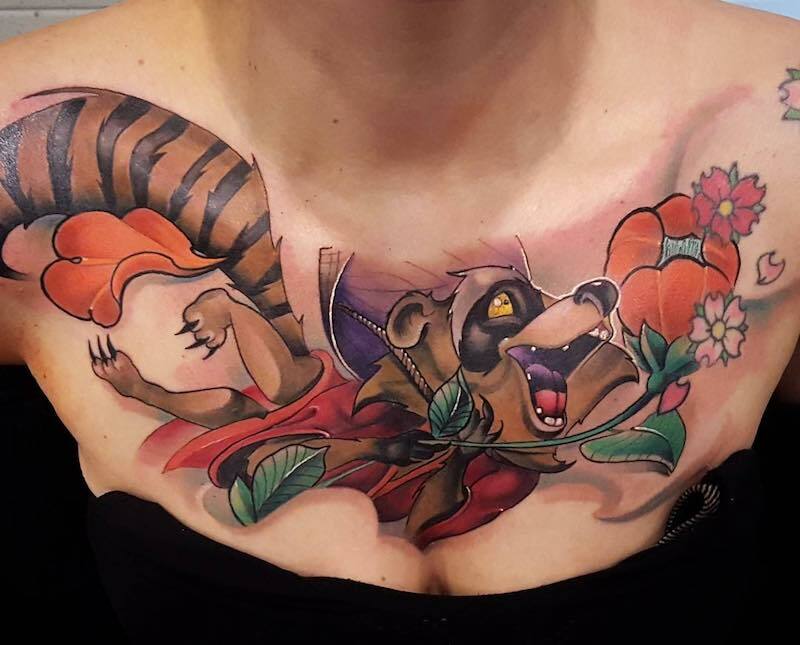 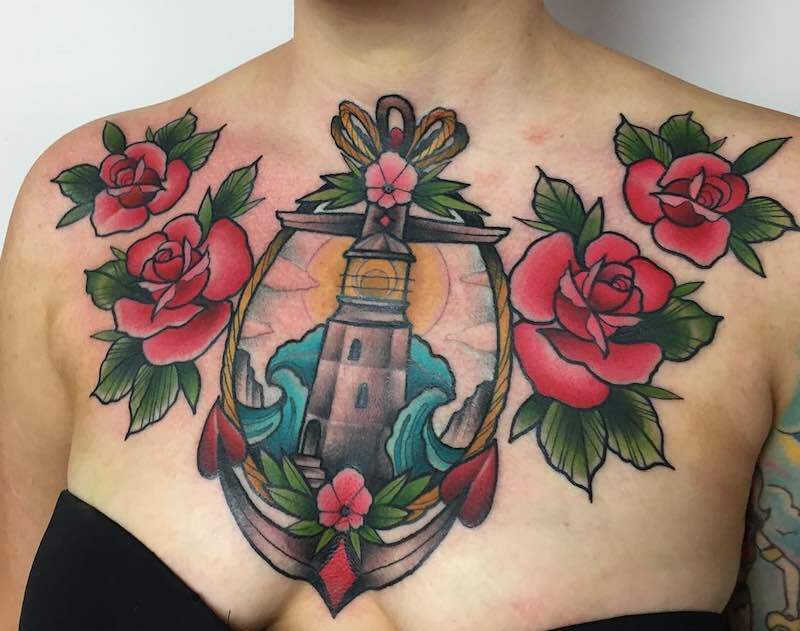 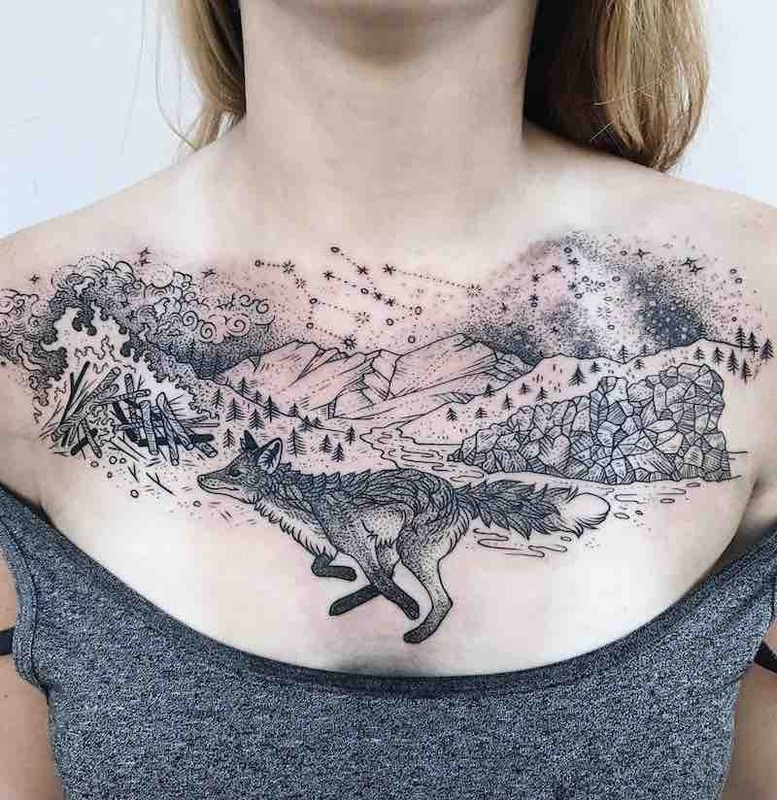 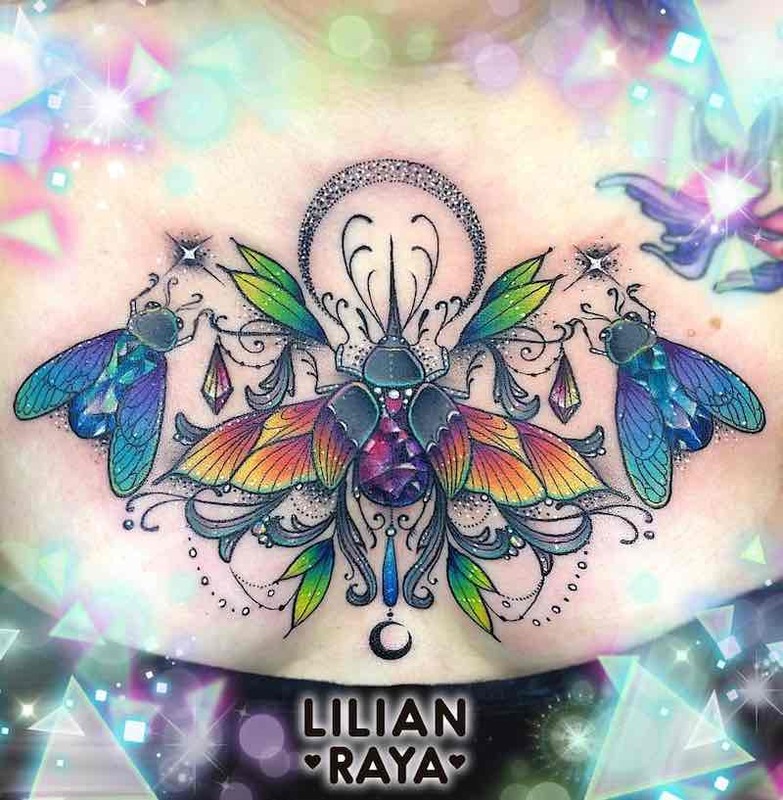 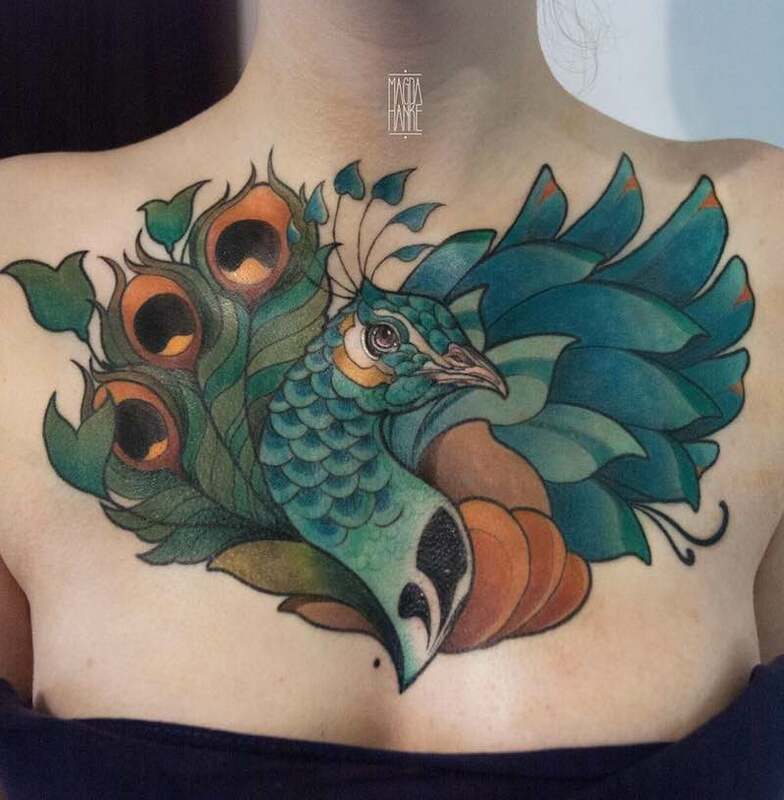 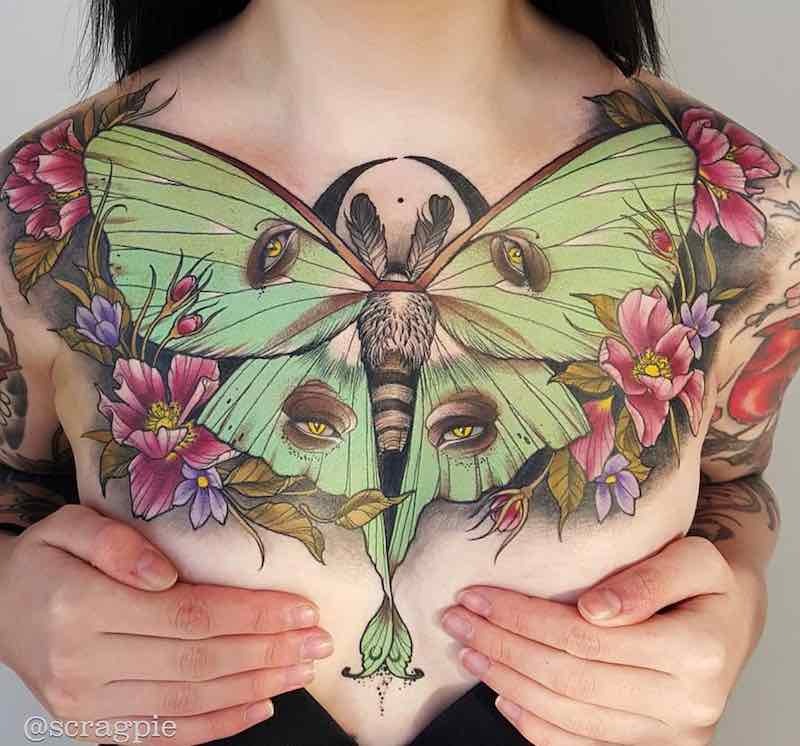 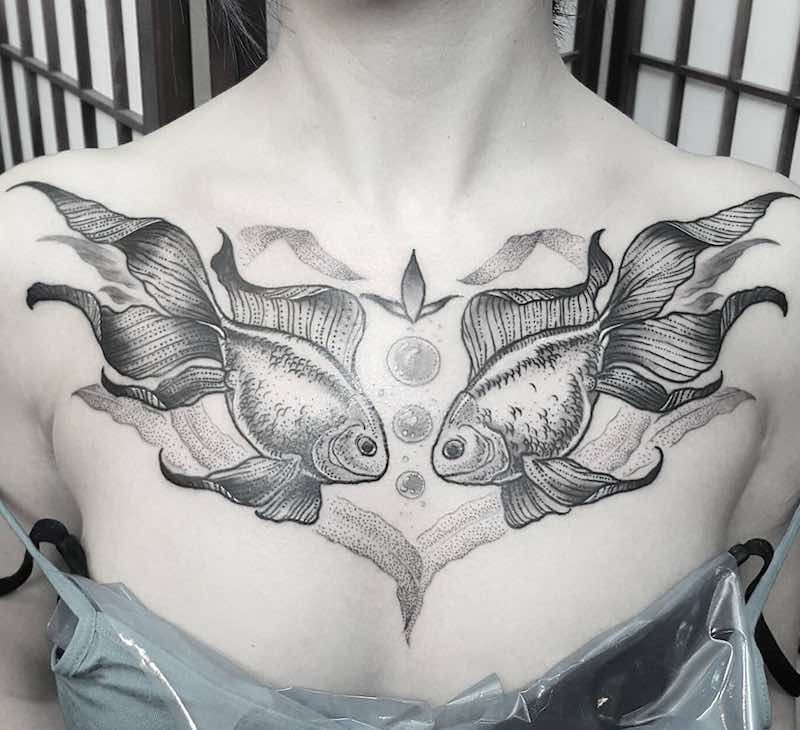 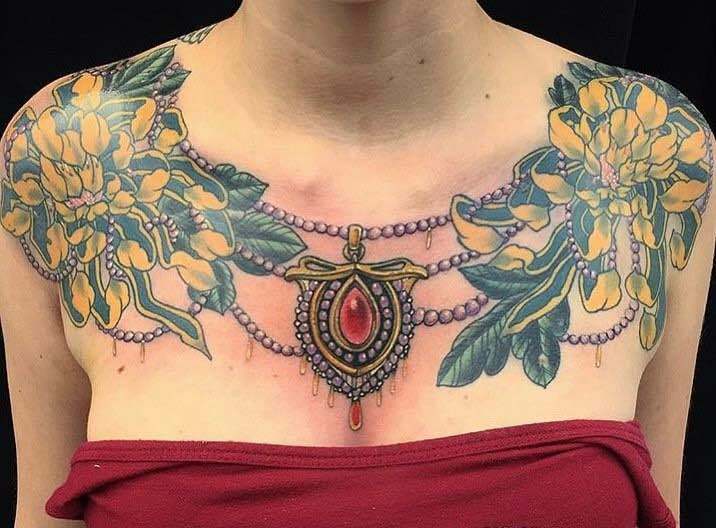 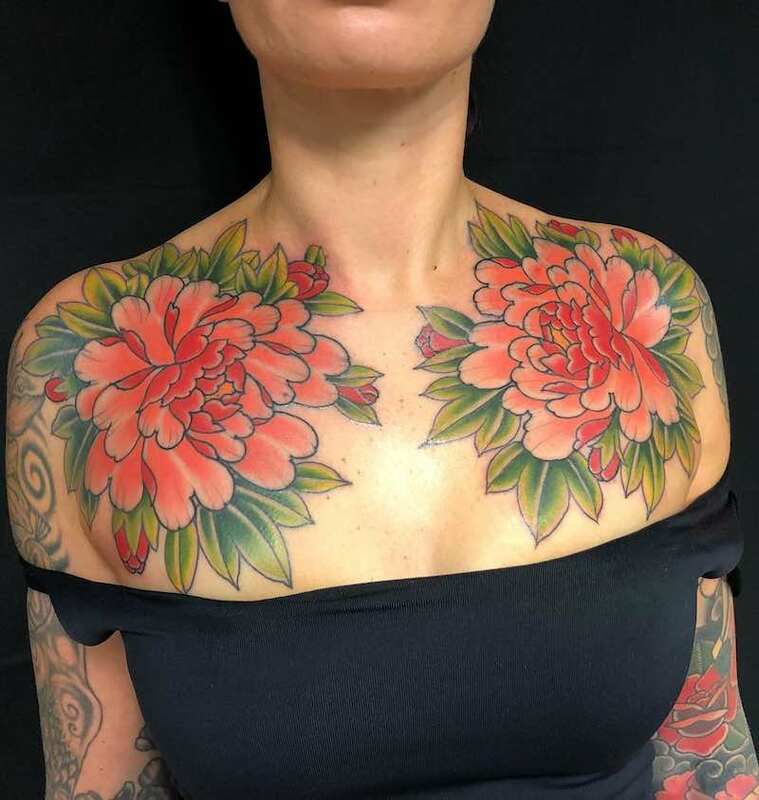 Although a chest tattoo isn’t a common area for women to get work done on, the women that do get chest piece tattoos tend to put a lot of thought and effort into getting a stunning design that works for them. 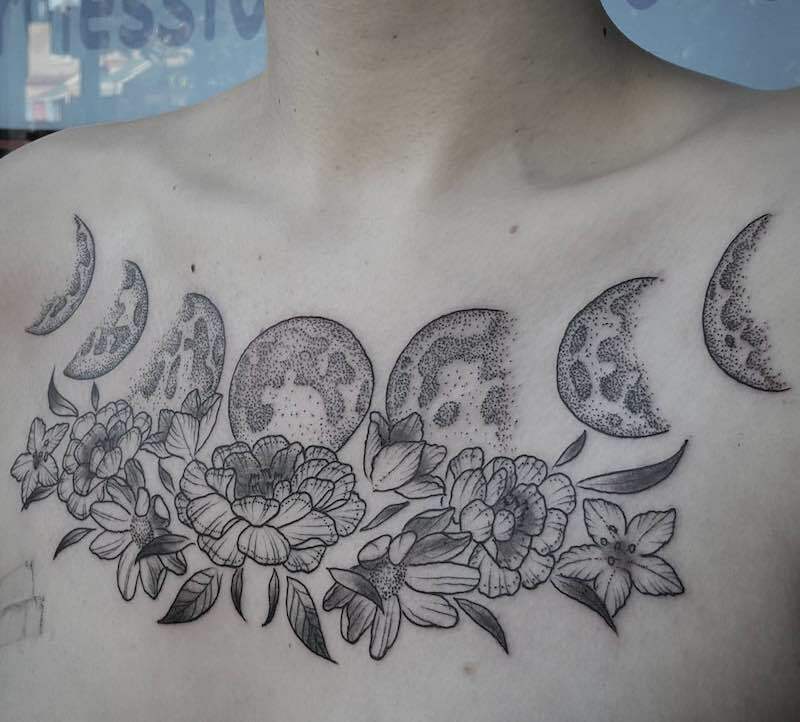 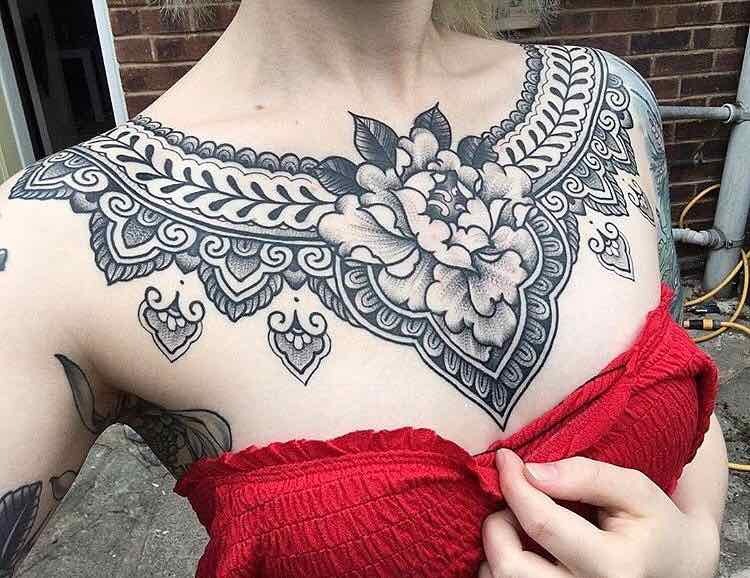 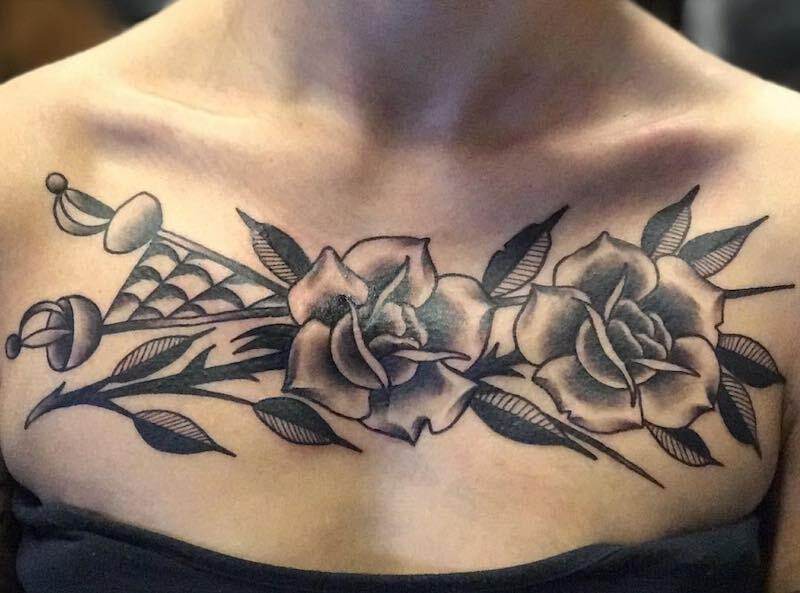 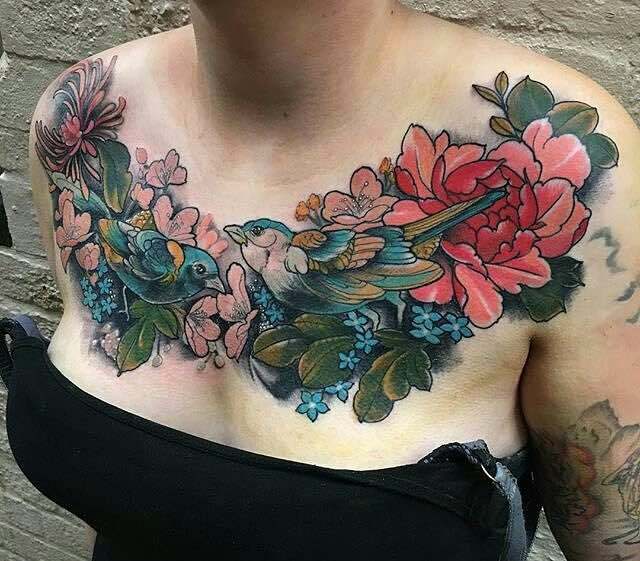 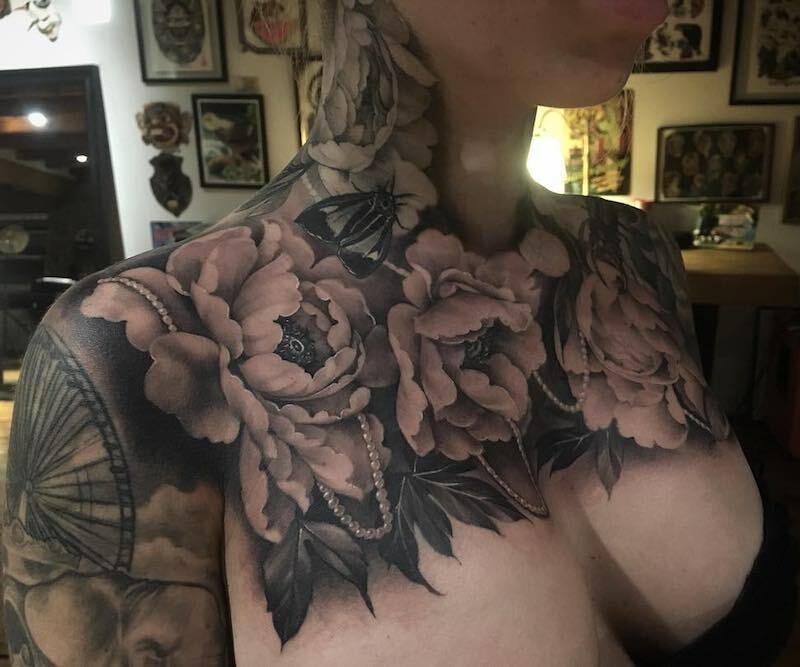 A popular element in womans chest piece tattoos is flowers, they work great to fill in background space or as a stand alone chest piece tattoo. 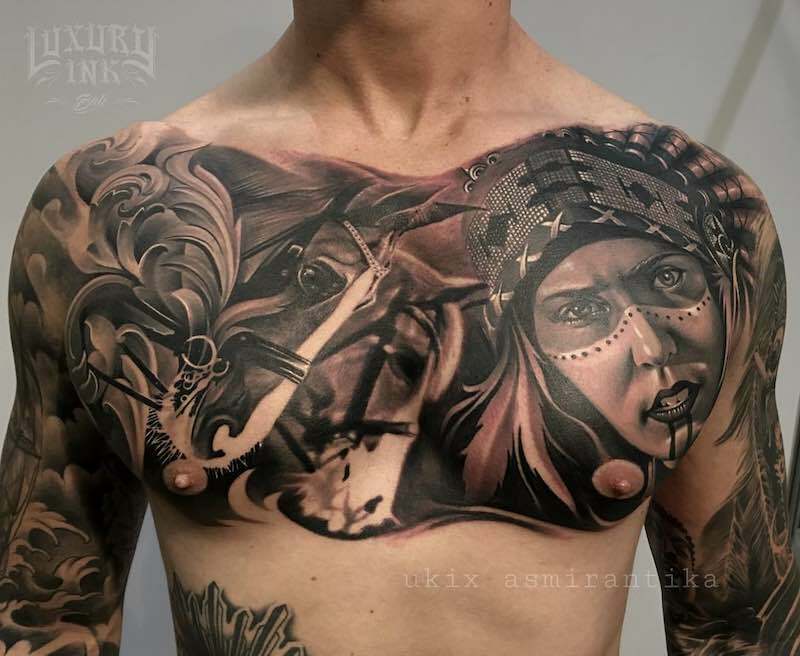 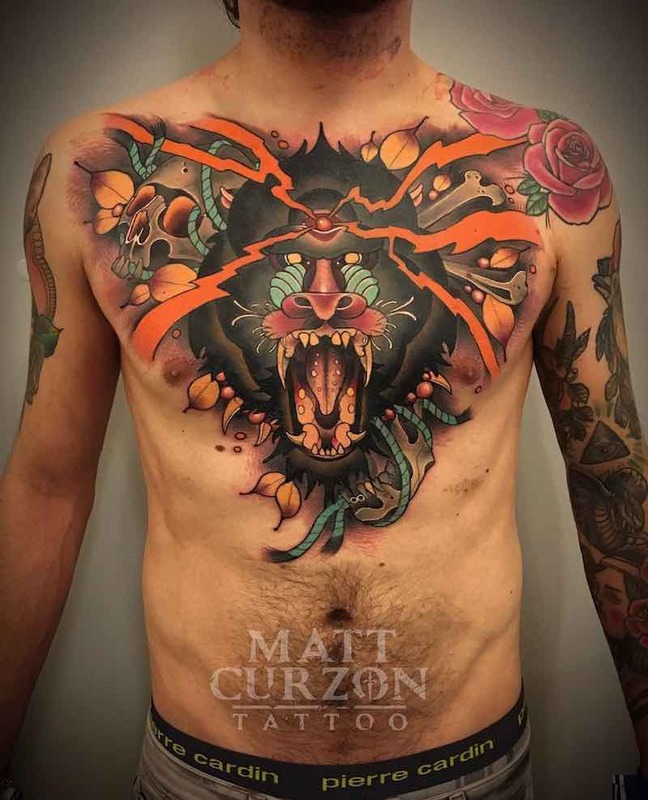 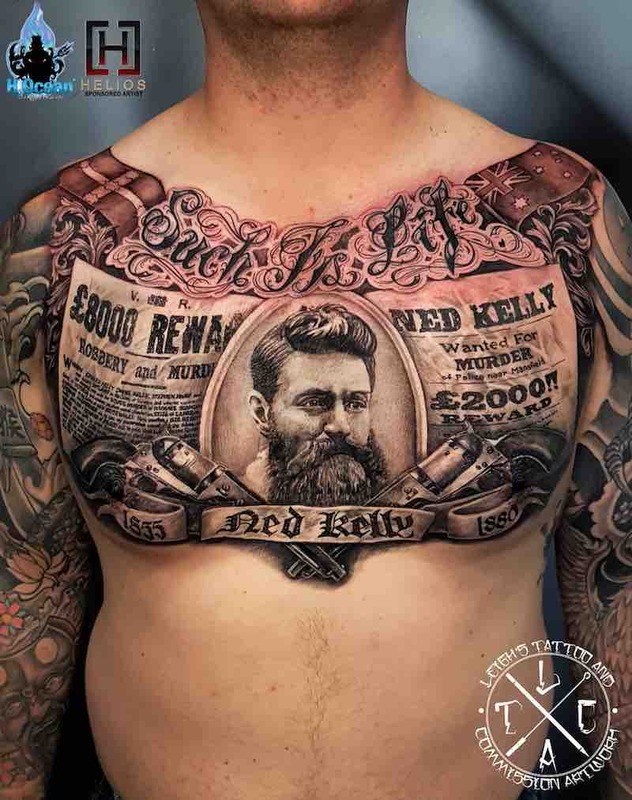 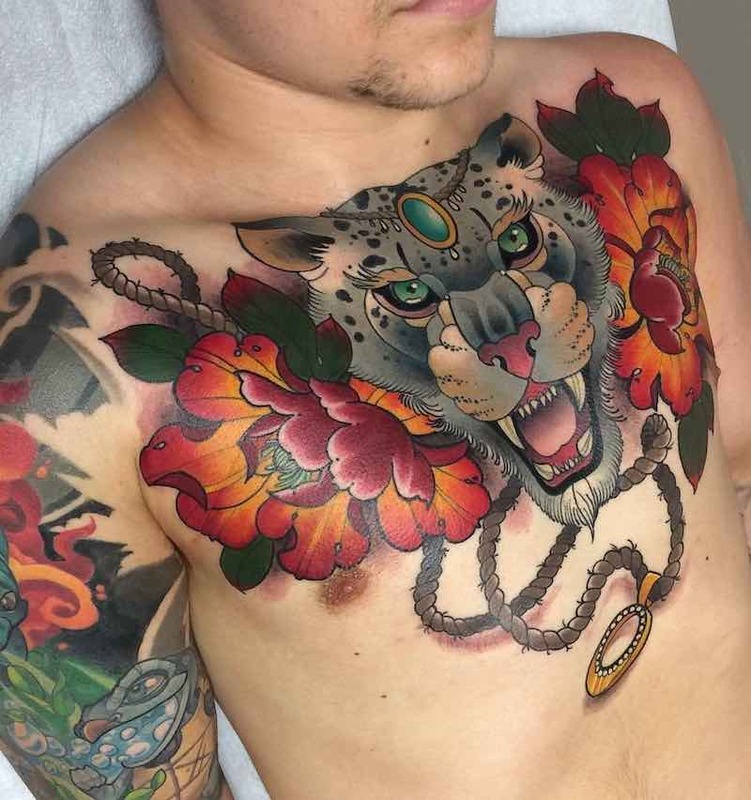 Although mens chest tattoos have been around for a very long time they are becoming much more popular today. 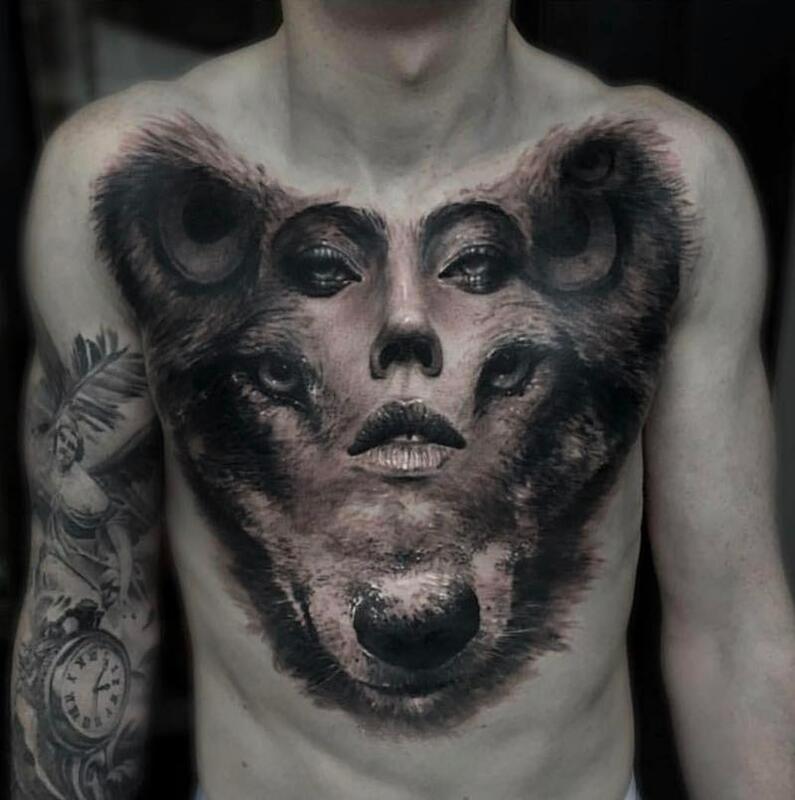 The most popular imagery is animals, skulls. 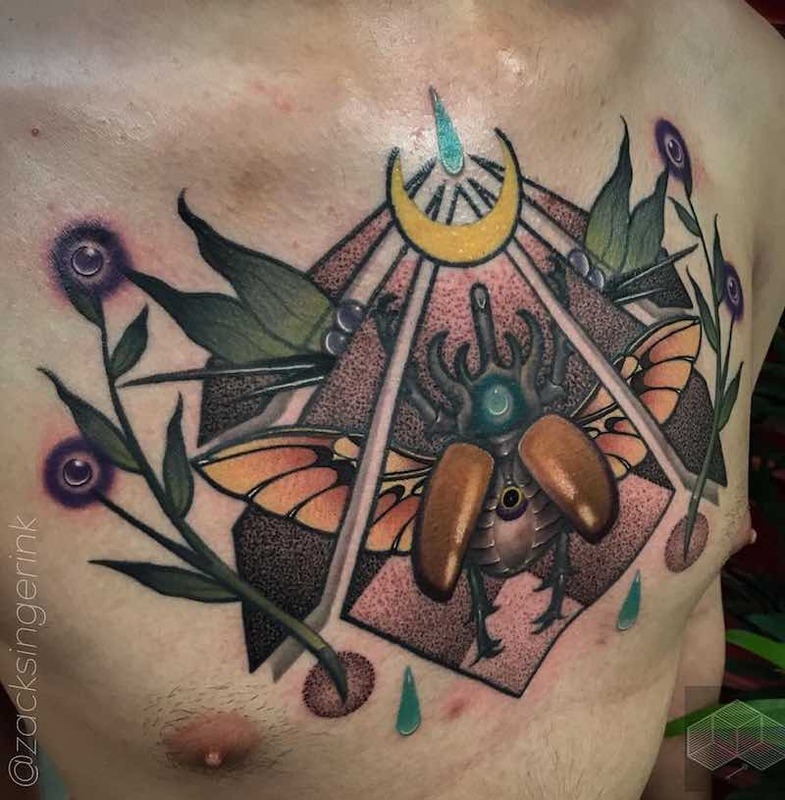 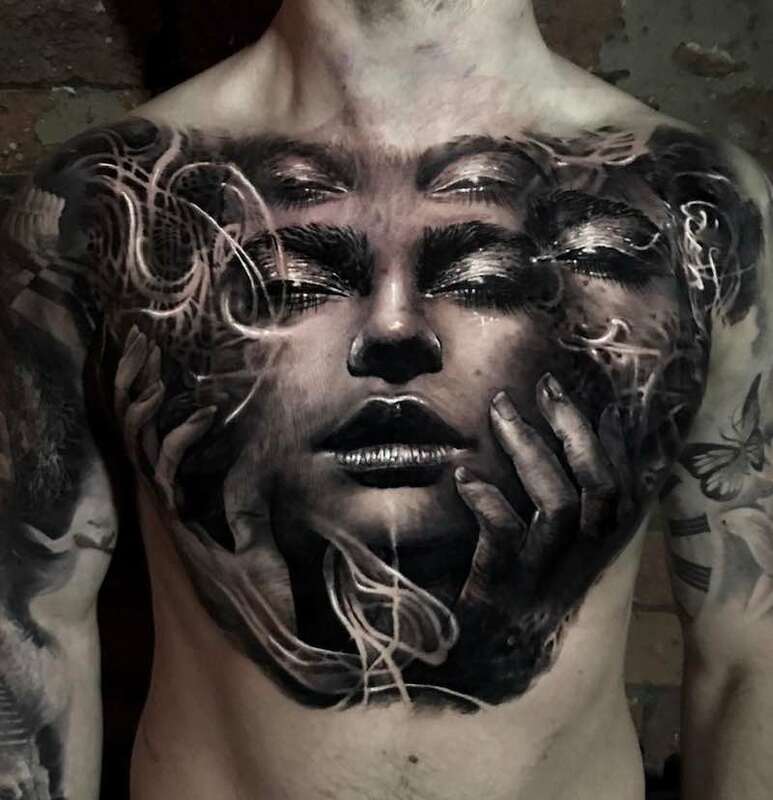 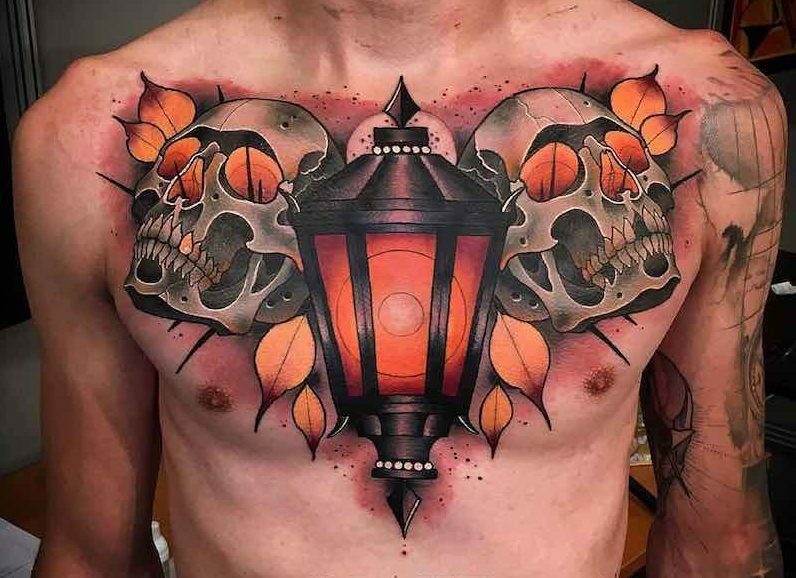 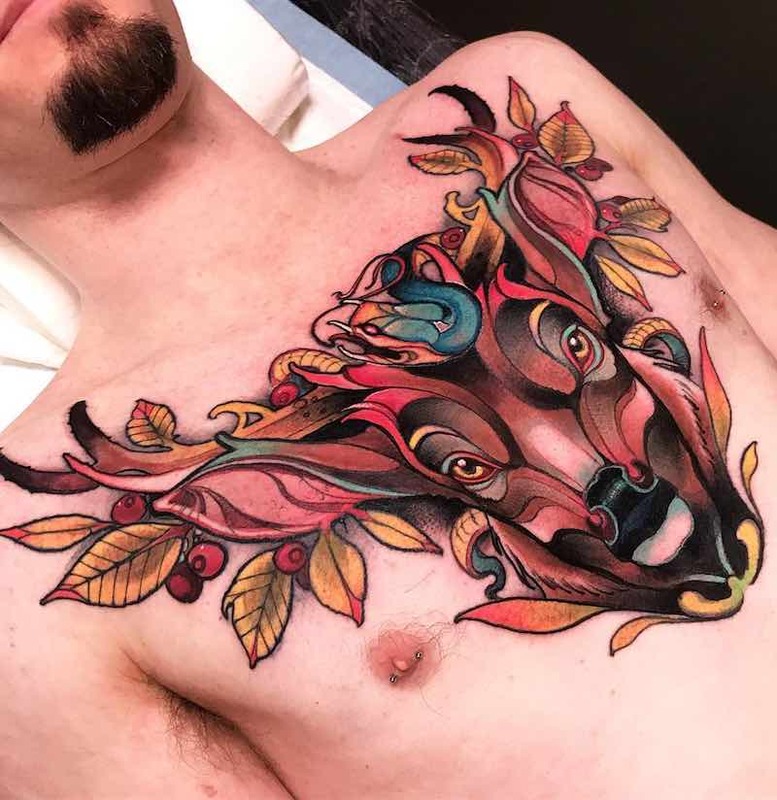 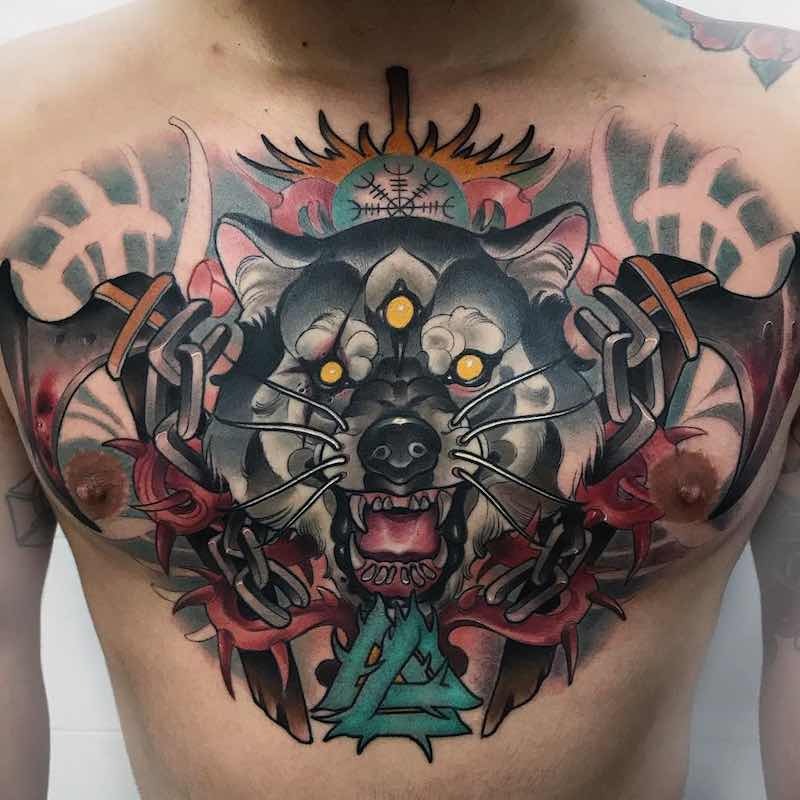 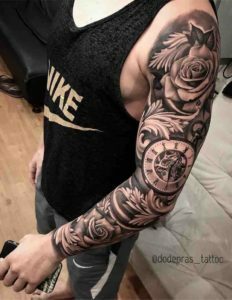 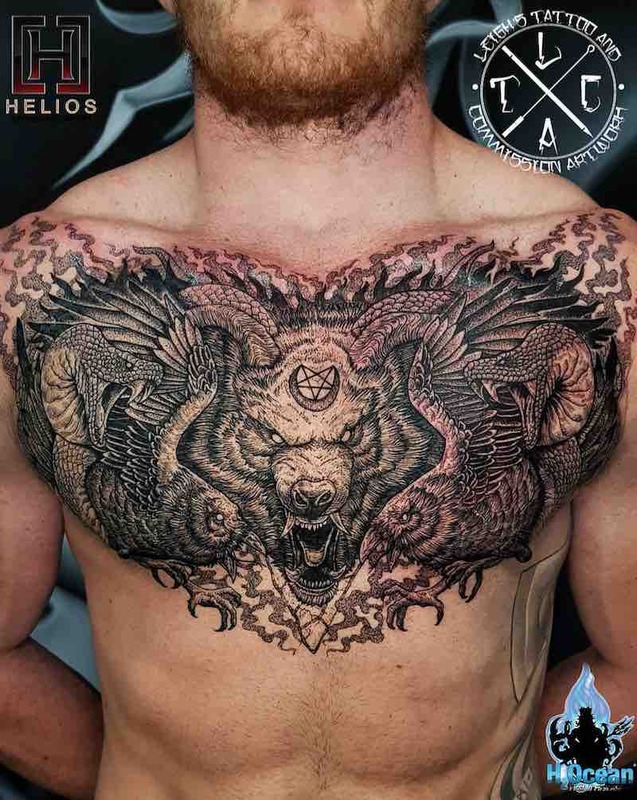 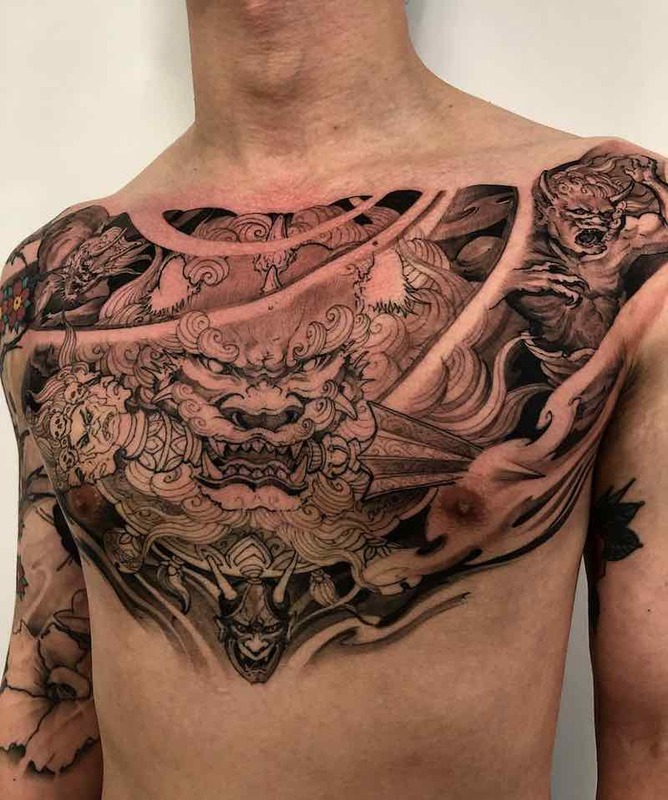 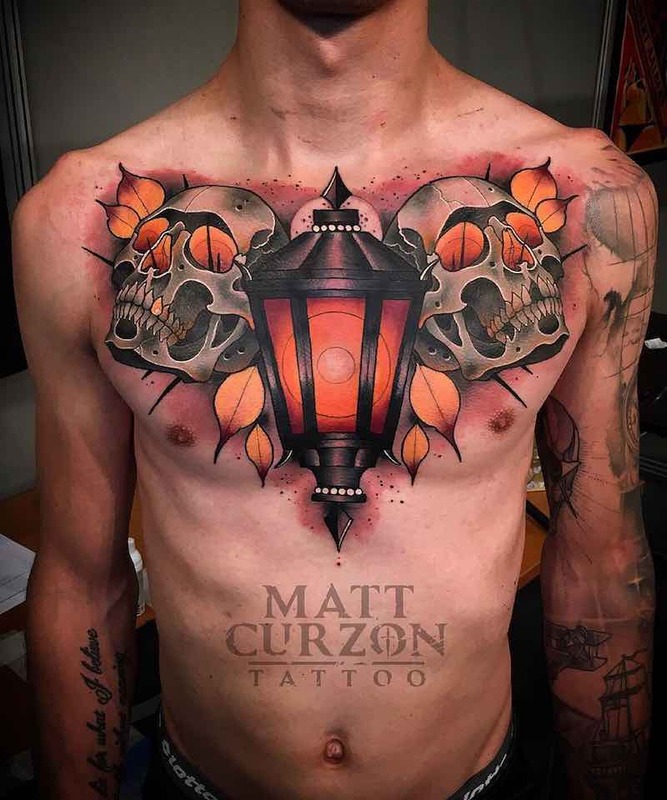 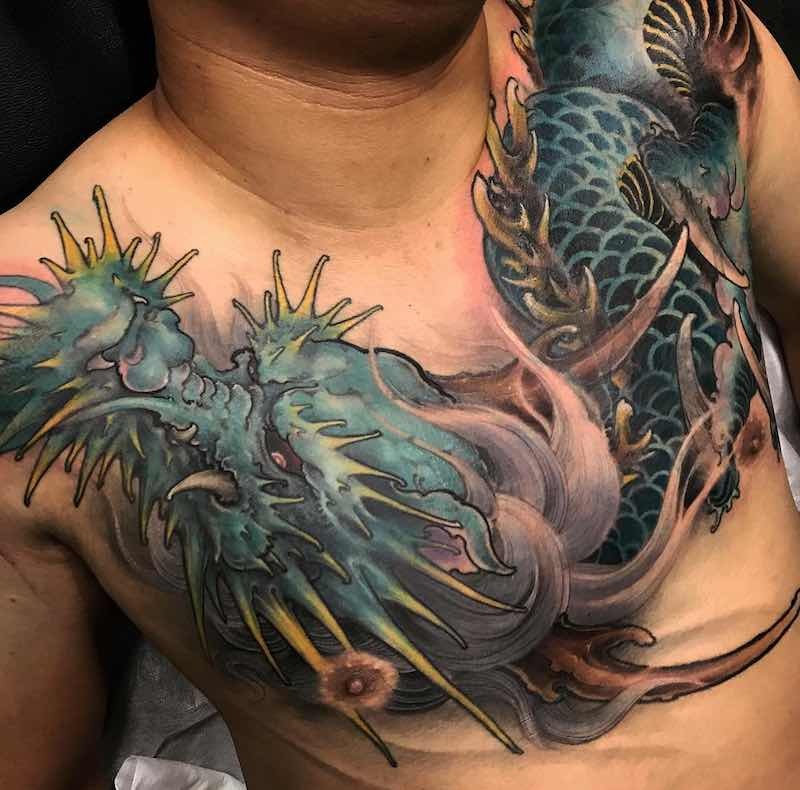 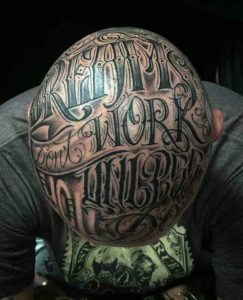 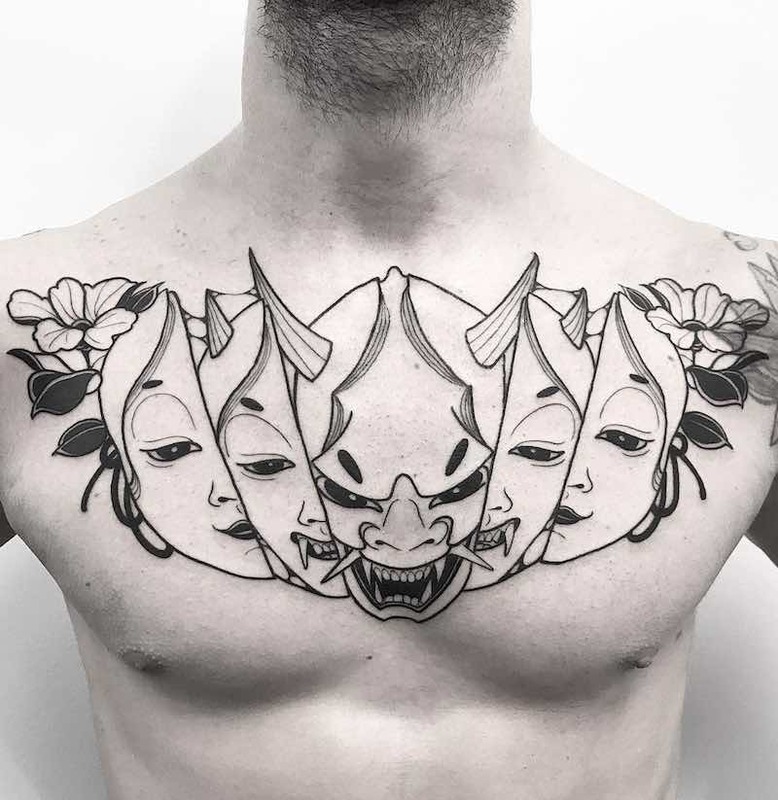 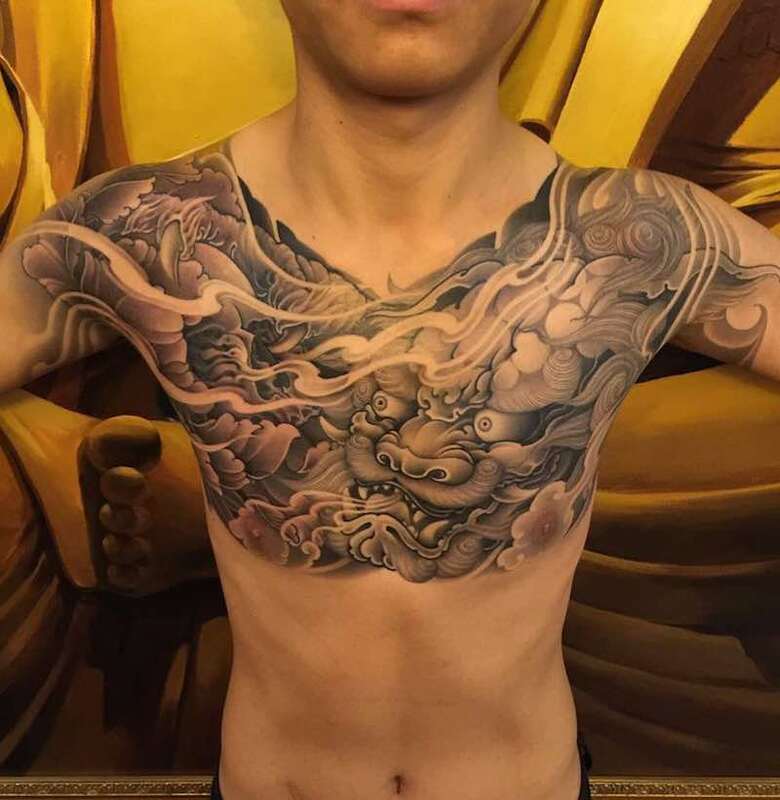 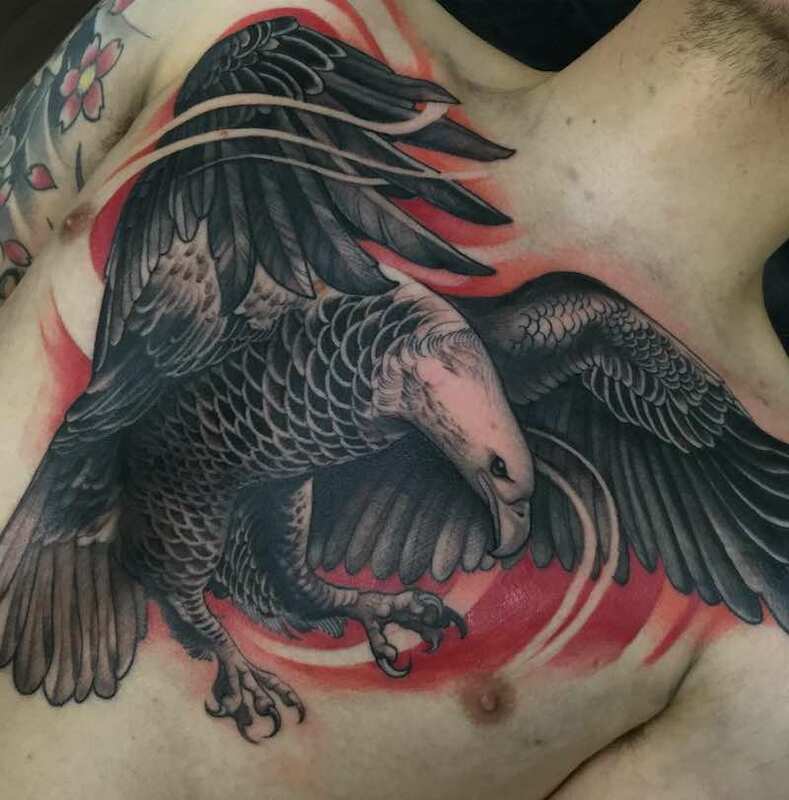 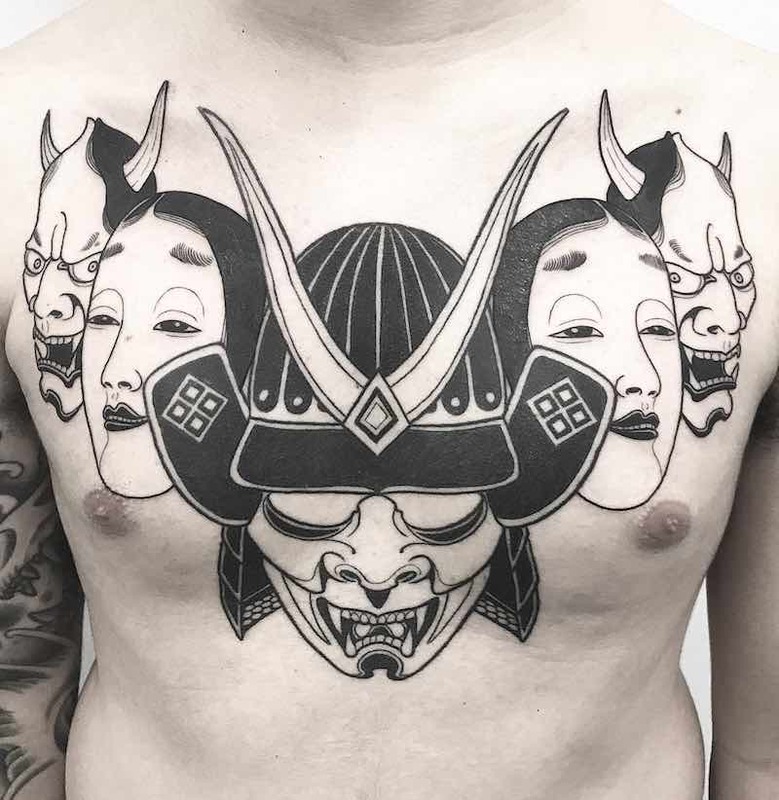 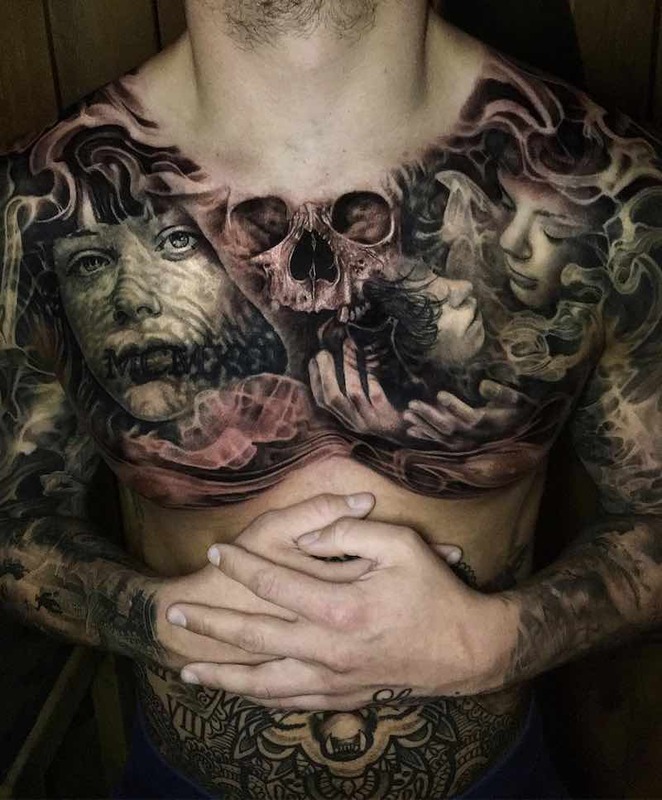 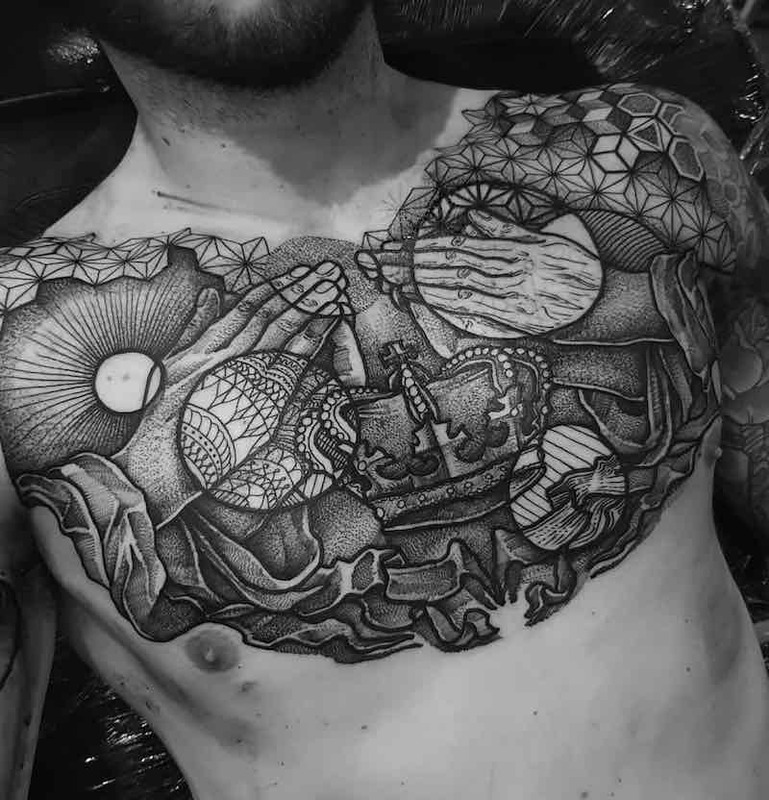 With the chest being one of the biggest areas to get tattooed there is almost no limit to what design you can get and there is a much higher level of detail that fit into the chest piece tattoo.